The role that community sport organisations [CSOs) play in overcoming the soc ial exclusion of Muslim women in Australia is explored. Three case studies of CSOs that value both gender equity and cultural diversity are considered. The notion that inclusive opportunities for sports participation can provide a forum through which to express and promote diversity leading to increased social cohesion has been supported widely in Australian leisure policy !Australian Sports Commission. 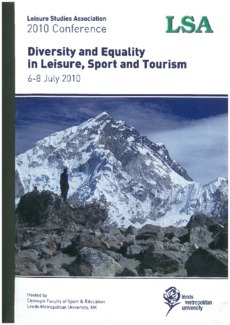 2006: Human Rights and Equal Opportunity Commission, 2007) and embraced by sports management academics worldwide IArai & Pedlar, 2003: Nicholson & Hoye, 2008: Walseth & Fasting, 20041. The process of the development of social inclusion within the CSOs was in evidence in a range of cultural, religious and gender related adaptations which illustrated that the CSOs took a flexible approach to encouraging participation. These changes included adaptations in uniform i.e. the introduction of the 'burqini· and the adoption of women as coaches and managers. Muslim women in the CSOs played roles as community leaders and role models. These roles illustrated a process of enabling and empowering occurring.